Abayudaya Stern Synagogue Nabugoye, Eastern Uganda, Africa “This is a place that gathers our people together — it is our Jerusalem,” says Abayudaya leader Rabbi Gershom Sizomu. Starting with an expansive open floor plan, the Synagogue complex is designed to house the community of 2,000+ Abayudaya Jews and their many multi-faith visitors from surrounding villages. Flexible partitions open at the middle of the 5,000 sq ft structure, allowing for the Social Hall and Sanctuary spaces to be combined / separated as needed. A second folding-wall opens to a 1,000 sq ft courtyard, allowing for unobscured views from one end to the other, while embracing the protected exterior space as an extension of the Social Hall. An adjacent 1,200 sq ft ancillary structure houses a kitchen, classroom, and mikvah, traditional bathing house. Unlike many local structures that have small windows and low-slung roof edges that keep the sunlight out, the Synagogue roof is shaped to produce abundant light and passive cooling while serving as an efficient rainwater catchment tool. The upper roof shape brings natural light in from the North and South, while focusing views out to the sky beyond. A lower roof helps mitigate the harsh equatorial sun, while several strategically located openings focus on the surrounding mountains and forests; creating a sanctuary that embraces and protects while also remaining an open, light filled vessel. San Francisco based non-profit Be'chol Lashon has been working with Rabbi Gershom Sizomu, the current Abayudaya leader, and the Abayudaya Jewish Community since 2002, as a clearinghouse for long-range planning and financial resource development. In 2010, SaA Associate Joshua Yoches partnered with Be'chol Lashon and the Abayudaya community to design and construct a Synagogue and Community Center in Eastern Uganda. Joshua traveled to Uganda twice during construction, most recently during the summer of 2016 to oversee final construction details, and to celebrate the completion and opening of the Synagogue. SaA continues to partner with non-profit organizations and pro-bono efforts that emphasize social outcomes through design. 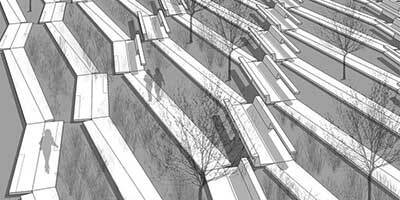 Campus Landscape Proposal - In collaboration with artist Rebecca Thompson. Propelled by the idea of a Terra Inventum, our College of Pharmacy proposal creates a communal space of discovery and engagement derived both from the terra firma of nature as well as the scientific impulse towards the pursuit of the unknown. Taking the form of two chromosome strands carving through the site, Terra Inventum creates a direct physical and visual connection between the College and the Quad Ravine, science and nature. Embedded in the limestone wall are translucent inserts and motion sensors that flicker in genetic mapping patterns as people pass by. Scientific notations and bronze-castings of laboratory objects animate the central communal meeting table.. The central "ravine" slopes gently downward as the chromosome shaped stone walls hold back landscape berms to create a sense of enclosure similar in spirit to the Quad Ravine. Guerrilla Street Museum San Francisco, CA Urban street beautification projects often confuse “beauty” with cleanliness, sweeping aside the unsavory realities of the street. 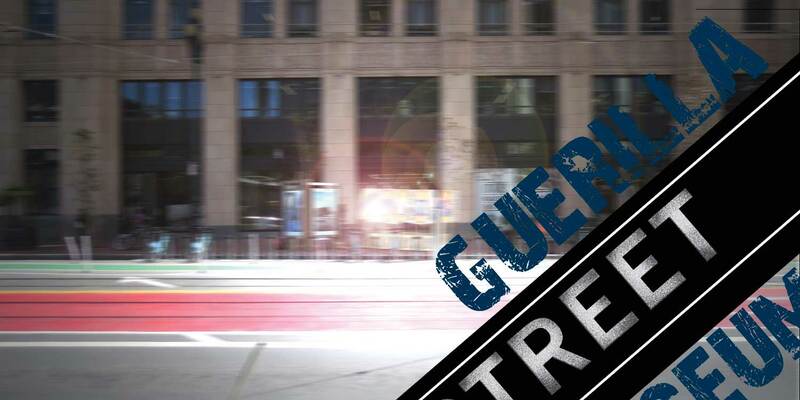 The Guerilla Street Museum serves as a model for engaging and activating the street while simultaneously revealing what beautification projects often seek to hide. Museums traditionally display only artifacts deemed worthy by the culture that supports it. Here, we give the street its own “museum,” which can be replicated across the city as a mechanism to reveal the hidden stories of many diverse constituencies and neighborhoods. This project was a collaboration between architecture students at CCA, led by Associate Professor Neal Schwartz, and Larkin Street Youth Services. 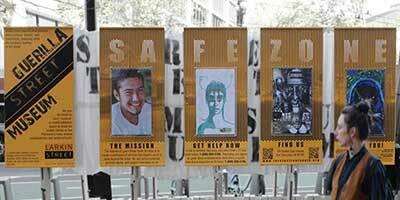 The work both promotes the mission of Larkin Street and exhibits the creative work of the homeless and at-risk youth they serve. The project was exhibited as one of fifty installations selected for the 2015 Market Street Prototyping Festival and will be exhibited during the summer of 2015 in other venues. Faculty Center Expansion and President’s House SaA recently completed concept design for the expansion of the 1959 classic Modernist faculty center at Brandeis University in Waltham, Massachusetts, including the addition of the first on-campus home for the President of the university. SaA's design reorganizes and extends the public space of the faculty center and situates the new President's house to the north, capturing a courtyard between the two. This new courtyard comprises one of four seasonally specific "event landscapes" that integrate the new buildings with their natural surroundings, provide new gathering space for campus functions and create both a link and buffer between the public and private programs. Speed Bump: Children’s Creativity Museum San Francisco, CA Through Public Architecture’s pro-bono 1% Program, a clearing house for non-profits in need of design assistance, SaA donated 250 hours of design time for the schematic design of an entrance and lobby renovation. The scheme uses a series of tactile films and textures (in the form of anamorphic text projections of the Museum’s mission) to guide, slow and speed visitors through the space. Emeryville Center for the Arts Emeryville, CA - Invited Competition Some words take shape directly from the expressiveness of the sounds they name…. SPLAT! WHAAM! POW! Poets often use these onomatopoetic words to engage us more viscerally with the pictures they hope to paint in our mind's eye. We imagine a new home for ECA that is as directly formed by the artistic impulses it houses– a space in which art, artist, community, and environment are intimately enmeshed: Onomatopoetic Space. ECA's mission nurtures cultural literacy through community engagement with art. Taking this charge to heart, we explore ways to design this "engaged space" by blurring the lines between artistic production and community participation. Rather than a traditional white box with art installed within it, the spirit of ECA is more like that of an Open Studio –the artistic process inhabits and creates the world around it, and the visitors, through their interaction, complete the space. Within Onomatopoetic Space each expressive element of the architecture is cultivated directly from inspiration from the artist or community. SaA was one of six firms selected to participate in this exploratory design process with the project sponsor. RayKo Photography Community Center San Francisco, CA For this project in a 12,000 square foot converted industrial building, we detailed and managed the highly technical requirements of the photo studios and labs, designing the gallery, its furniture, signage, and pivoting wall. The "lightbox" in the center of the gallery space actually contains darkrooms, with a back-lit scrim above providing the source of illumination for the public spaces. We worked closely with a French manufacturer of PVC fabrics to develop this continuous illuminated parapet. The project team included Kogod Smiley Architects through schematic design. Senior Housing Competition Novato, CA - In collaboration with Mona El Khafif Any site's conditions, however difficult, represent types of "capital" that we can harness to foster complex and sustainable communities. With this as a guiding principle, new investments can then be strategically designed that work in harmony with a site's existing assets and potentials. The project seamlessly integrates economic, social and environmental strategies, re-imagining the conventional model of senior housing and offering a sustainable approach to residential development. The design maintains and strengthens vital connections to ecological systems and access to adjacent communities, fostering a mutual exchange of natural and communal resources across generations. Off Grid 2.0 Ideas Competition: Healing the Damaged Edge Sausalito, CA The Lamella project imagines a continually shifting land- and water-scape at Horseshoe Cove that fosters public consciousness of the dynamic nature of our environment and our responsibilities to sustain it. The project deploys an expandable net of recycled plastic components, which create a new civic-terrain dedicated to environmental education and demonstration projects. Bay Conservation & Development Commission Rising Tides Competition Bay Area The Alluvial Net embraces the stark realities of rising water levels and increasingly erratic storm events as a springboard to imagine a poetic new form of civic infrastructure at the water's edge. The "net" is an alluvial sediment and water catchment system, which evolves from a prefabricated set of prototypical building-components. 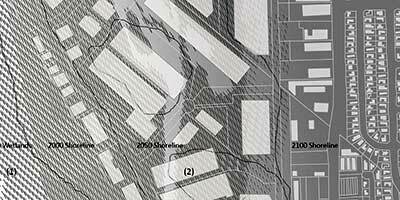 As these units accrete, they form a porous tidal habitat, bio-remediation filter, and public landscape amidst the inundated low-lying industrial and commercial zones that ring much of the San Francisco Bay. Napa City-County Library Teen Center & Masterplan Napa Through participation with Public Architecture's 1% pro-bono program, this project offered schematic design services to the Napa City-County Library. The project initiated a grant-funded design for a designated Teen Center in the library, reinforcing the library's traditional role as a welcoming resource for diverse communities. Central to the re-organization plan is the creation of an active browsing "marketplace." Anchored by a bold mural wall, this area consolidates the various programs into a vibrant new community home. Workshare Technologies Offices San Francisco, CA This project inserts a new 80-foot long translucent screen wall, reception area, and conference room into an existing converted warehouse space to organize the public and private zones within the corporate offices. The challenge of the project was to create a visual screen without sacrificing natural light or the existing openness of the space. The slat-wall of the freestanding conference room is formed by a sandwich of medium density fiberboard, Plexiglas, and metal studs, each layer contributing to the play of light in the room. 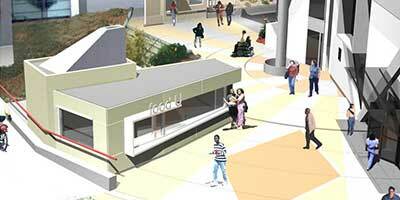 San Francisco, CA This project for five new food kiosks and adjacent public space upgrades takes its cues from the existing dynamic 1970's student center architecture without attempting to compete with it. The two free-standing south plaza kiosks draw formally on the original building while synthesizing these elements into a more subtle and human-scaled composition. Iceland Trekking Cabins | Angle of Repose Various sites, Iceland Iceland’s geographic diversity is intrinsically related to its constantly active geology, providing an increasingly popular environment for hikers and trekkers throughout the world. Unsurprisingly, the most popular routes traversing the island follow the Mid-Atlantic Ridge, where two tectonic plates—continually in tension—provide the most animated geothermal fields in which volcanoes, glaciers, mountains, and hot springs can all be experienced within a single day’s hike. With this constant and dynamic geological growth, there is a prevalence of naturally abundant volcanic rock that marks history in a cross section through these popular trekking routes, denominating each natural wonder with geological specificity as both a product of and monument to its existence. SaA’s proposal for the Iceland Trekking Cabins looks to utilize the diversity of volcanic rock readily available at each cabin’s site to create a unique architecture of the landscape. By providing natural and low-cost thermal control inspired by the utilitarianism and vernacular of traditional Icelandic turf houses, we simultaneously create a cairn—a beacon and guidepost—for trekkers to reference and engage as they seek their own personal repose. Pinterest San Francisco, CA SaA’s work as executive architect for this 45,000 sq ft tenant improvement corresponded with Pinterest’s rapid expansion, including the continued evolution of the company’s ethos and character. In many ways, the building was seen by the client as a blank architectural canvas to be curated by the employees, much as their web presence supports the gathering and organization of images into a virtual pin board. 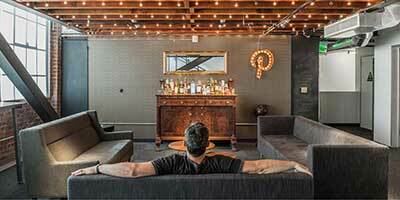 Through a series of Make-A-Thons, the Pinterest folks moved in and hacked the space, immediately making it their own. SaA worked with an initial schematic design proposal from project designer All of the Above / First Office, adding isolated components to the design as the company’s needs developed through construction. For us, the project showcases our collaborative spirit with our clients; one which fosters spaces aligned with their unique visions. Now, we have been hired as the architect for the 15,000 sq ft expansion of Pinterest's headquarters into an adjacent historic structure..
Harvey Milk Plaza San Francisco, CA Harvey Milk’s message lives at the intersection of the personal and the political: refusing to hide who we are, we fuel our power to command the stage and fight for change. On this historic corner, yesterday’s hidden plaza emerges as a new higher ground, a visible platform for political action. On this site, Harvey Milk inspired thousands to come out and become fully known, harnessing their newfound exposure as a platform to effect social and political change. Our proposal physically represents these twinned messages of visibility and power by replacing the old hidden and sunken plaza with a new elevated ground – a gateway to the Castro and a forum for social and political change. This elevated plaza pulls away from adjacent buildings and streets to foster accessible movement along and around the site, while radically improving Market Street commuter access through a central plaza. This creates a much-needed Castro open space that will not be ignored – simultaneously amphitheater, grandstand, party balcony, front yard, and metaphor for the power of visibility that Harvey Milk trumpeted. The Plaza’s three distinct but related areas offer places for neighbors and visitors to gather, mingle, and form community – an urban homage to Harvey’s Castro camera store – in spirited action or in play. The central Memorial Plaza lies at Castro sidewalk level, accessible to all - a physical, functional, and social crossroads from every direction. Towards Upper Market is The Stoop -- a favorite metaphor of Milk’s that stresses the importance of everyday engagement with our diverse community. A relaxed, verdant, accessible neighborhood space. Hovering dramatically over Market Street is The Grandstand. This most visible, and therefore political, platform can fluidly shift functions. On days of celebration or protest, it serves as gathering space and stage from which to reassert our visibility and project a political message. It offers a thrilling sense of exposure and pride to tourists who may lack our city’s freedoms at home. Without apology, it slyly recreates the voyeuristic experience of so many upper floor windows and terraces that line the Castro area. In fact, it returns us to the exuberant people watching more prevalent in Milk’s pre-social media days. How will you use it? DESIGN CONCEPT: Guanajuato, Mexico is a vibrant city glows with a riot of color, texture and pattern. Yet, S^A&apos;s design for the restaurant tries to eschew stereotypical translations of this culture by focusing just on reinterpreting the colors and quality of light of Guanajuato in an abstract and modern way. Working within the confines of an extremely narrow 14’-wide storefront space (in a new housing development in the heart of San Francisco’s tech community), the design uses a series of glowing light installations to evoke the palette and vibe of Guanajuato, and expand the sense of depth in the tiny space. A ceiling "cloud" hovers at the entry and point of service creating the sensation of a framed and endless colored sky overhead. Running the length of the space are translucent glass boxes (glorified sneeze guards) lit with pale green light, a nod to the fresh ingredients of Guanajuatan cuisine. The far end of the space is anchored by a charred wood "door" the central panel of which is another field of slowly shifting depthless light. This charred door frame draws on the story of the hero El Pípila himself. Legend has it that during the Mexican War of Independence, El Pípila routed the Spanish from the city’s stone granary by setting its wooden door on fire, exploiting its one point of weakness and leading to the independence of the city. 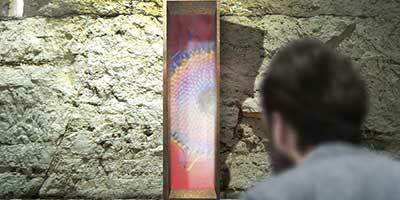 Our reinterpretation of the burned down door with its central panel of light is a metaphor for the hopeful future for Guadalupe and her family, aligning her efforts for independence with the courage of the heroic El Pípila. The 34’ long "story" wall, designed Design is Play, introduces a language of symbols and patterns inspired by traditional Mexican textiles. In addition to referencing the legendary El Pípila, the walls celebrate the centrality of women like Guadalupe to the cultivation and preservation of Guanajuatan culture. The space of the restaurant is reinterpreted as a metaphoric flower or garden: a gathering spot alluded to in the panel with four butterflies around a blossom, two of which have hearts on their wings. Guadalupe and her two daughters figure prominently in the central panel in patterns based on historical indigenous Mexican forms. The story wall is mostly scenes from the day, but the dark vertical borders are nocturnal scenes populated by guardians of the night: dogs with stars and comets, and scorpions. The larger dogs underneath the greenery are guardians of the day--protectors of this garden of Guanajuatan culture and cuisine. BACKGROUND: The opening of the new San Francisco restaurant, El Pípila is the culmination of the labors of a trio of tenacious women. Guadalupe Guerrero and her daughters, Brenda and Alejandra, have slowly built their catering business by sharing their family’s versions of the traditional cuisine of the Mexican state of Guanajuato. This state is renowned as the birthplace of the country’s spirit of independence, beginning with its legendary hero, El Pípila, and carried on today by enterprising women such as Guadalupe. This is El Pípila’s first permanent home. The dream of the project was fulfilled only with the support of an extended community of consultants, designers, fabricators, and material suppliers, much of it, pro bono. Since 2012, the family has been nurtured and mentored by the local non-profit, La Concina, which supports low-income food entrepreneurs-primarily women communities of color, as they grow their businesses. Schwartz and Architecture &VerticalSeparator; S^A became involved through Public Architecture&apos;s 1&plus; Program, which matches design professionals with non-profits in need of pro bono design services. Viridiana Ponce of VP Consulting SF, a local small business consultant, managed the process and Eco Summit Construction, a local restaurant contractor made it all happen. S^A then drew on long-standing professional and academic relationships to contribute to the pro bono design effort. PritchardPeck Lighting developed the lighting concept. California College of the Arts colleagues Angie Wang and Mark Fox of Design is Play not only took on the "story wall" graphics, but embraced a full re-branding and identity system for El Pípila. 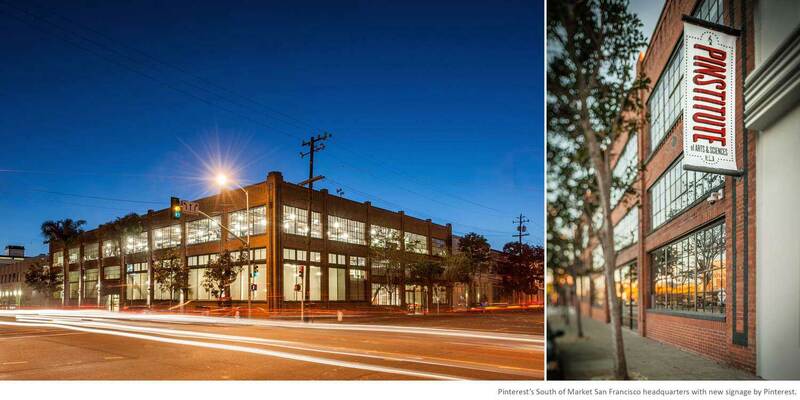 SMW + Associates provided structural engineering consulting. In addition, Fox Marble, Ceramic Tile Design, Ann Sachs, One Workplace, and Delta Millworks all offered generous in-kind contributions.